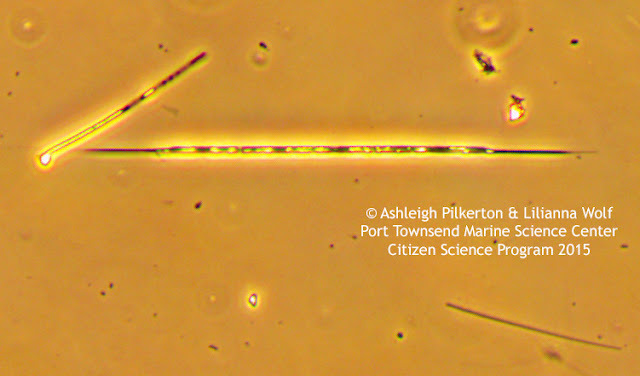 The genus Pseudo-nitzschia includes several species of diatoms known to produce the neurotoxin known as domoic acid, a toxin that is responsible for the human illness called amnesic shellfish poisoning (ASP). This genus of phytoplankton is known to form harmful algal blooms in coastal waters of Canada, California, Oregon, Washington, Europe, Asia, New Zealand, Central and South America. 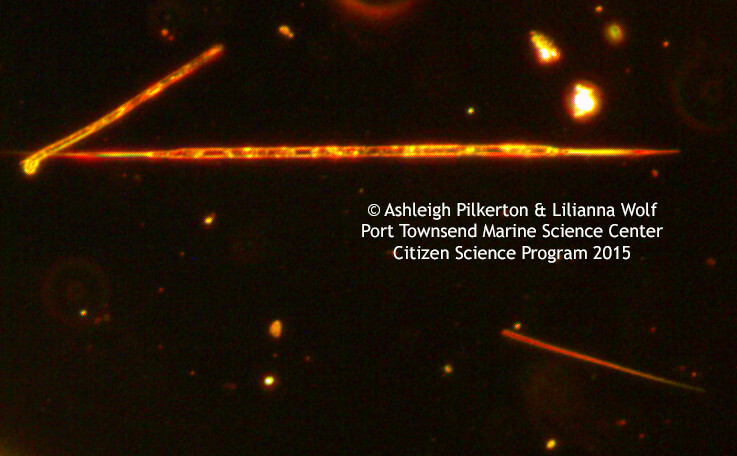 These samples of Pseudo-nitzschia were collected at Fort Worden in Port Townsend, Washington, USA by Ashleigh Pilkerton and Lilianna Wolf for the Port Townsend Marine Science Center (2015 Citizen Science Program). 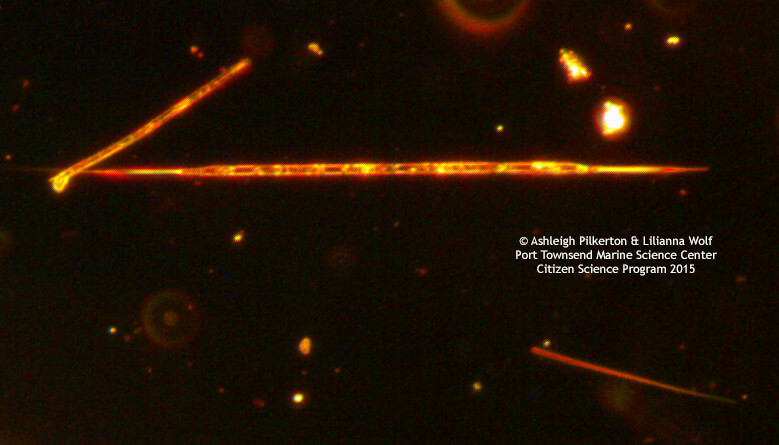 The images below were captured using the DCM3.1 microscope camera (3.2 megapixels) and a Zeiss Phase Contrast microscope. 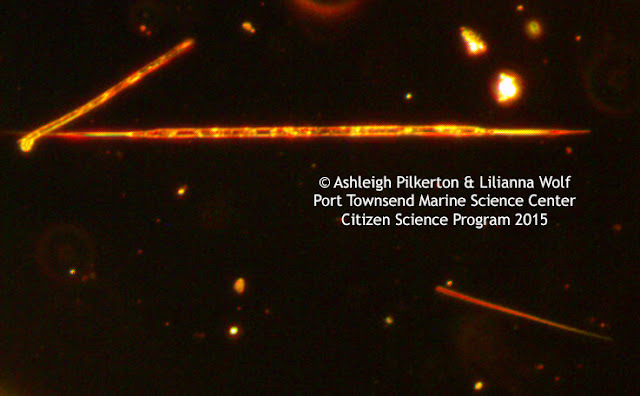 A huge thank you to the Port Townsend Marine Science Center Citizen Science Program 2015 for sharing these images with Microscope World. You can learn more about Pseudo-nitzschia here.